IBTM World 2018 is centred around how it can enhance every aspect of producing showstopping events, from enabling creativity to analysing and understanding industry trends to help create enhanced experiences and better engagement. Attendees will find technology riven through every element of the show, with lots of opportunities to interact with and be inspired by some brilliant innovations, including experiential technology such as virtual reality, artificial intelligence, interactive signage and 360-degree live streaming. The new Exploratory Zone will offer a lively, interactive experience as exhibitors display the latest technology to help you deliver exceptional experiences such as virtual reality, artificial intelligence, facial recognition and 3D printing. Companies confirmed to showcase include 3DFoodlab and Skullmapping, Amondo, Robots of London, SENSIKS and Mach 3 Management. The full programme of 54 sessions that form this year’s Knowledge Programme covers eight topical content themes all aimed at inspiring and educating on the latest industry issues and hot topics so that delegates leave motivated to apply learnings to their own exciting events. As well as innovation, technology and creativity, content falls under the following streams: industry trends; engagement and experiences; safety and security; sustainability and CSR; professional development, recruitment and wellbeing; business development and strategy; and marketing and digital. 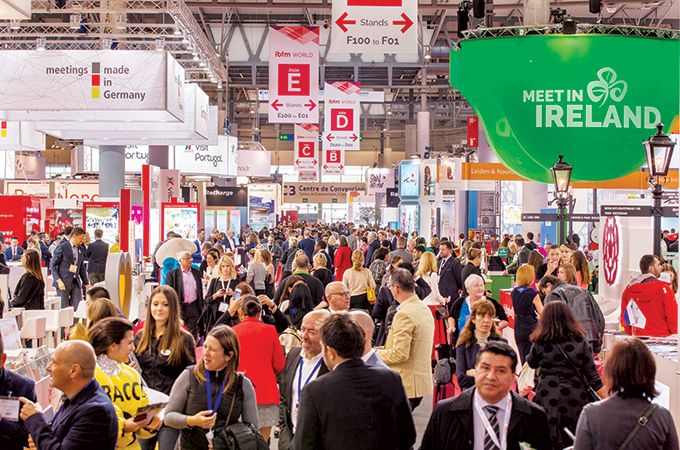 This year, IBTM has also extended the Knowledge Programme to include three keynote speakers. So far, IBTM World has announced Duncan Wardle, one of the primary creative forces behind The Walt Disney Company, as the first of the three. The second keynote speaker, Dex Torricke-Barton, former Head of Communications at SpaceX, Executive Communications Manager at Facebook and Executive at Google, will present on the emergence of macro societal trends and the development of technologies such as virtual reality and live-streaming, to forecast how they could affect the meetings and events industry. The third keynote will be announced in due course. An exciting raft of exhibitors have already been confirmed to attend, including first time attendees, key4events, Mexico Tourism Council, Tourism New Zealand, Sixt GmbH & Co. Autovermietung KG and creative technology company Codemodeon, which develops fun experiences by utilising breakthrough technology in virtual reality, augmented reality and mixed reality. Returning exhibitors include Hyatt Hotel Group, Hilton, Kempinski Hotels, Germany Convention Bureau, Switzerland Convention & Incentive Bureau, Slovenia Meetings, Malaysia Convention & Exhibition Bureau, VisitScotland and partners, Barcelona Convention Bureau, amongst many others. With Hosted Buyer recruitment underway, the team is on track to secure a high-profile group of event planners and buyers from across Europe, Asia & Australasia, Latin America, the Middle East, North America and Africa. Buyers already confirmed to attend are from Aon Risk Solutions, Laboratorios Panalab, Stanley Black & Decker, Grant Thornton, Samsung Electronics and SONY. Last year’s event saw almost 3,000 exhibiting companies from over 150 countries being joined by 3,463 buyers and thousands of visitors, and over 74,000 pre-scheduled meetings took place over the three-day event.